As veterans from all over the country stepped off their planes at Dulles International Airport, they were greeted with a hero's welcome. 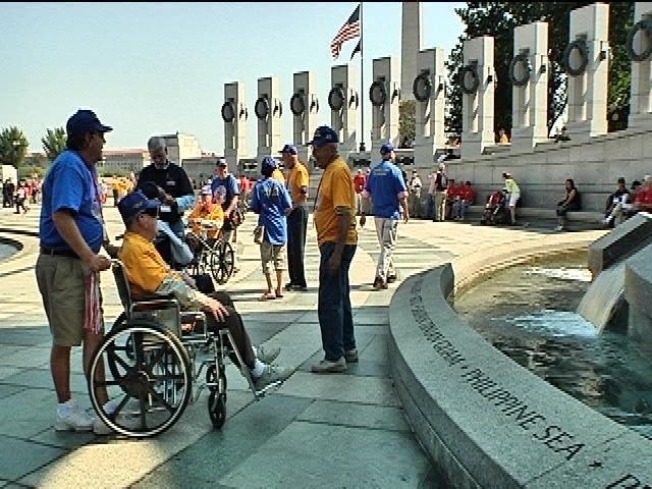 Every week for the past five years, volunteers with the Honor Flight Network have brought veterans to D.C. to see the World War II Memorial. “It makes you want to cry,” said veteran Elbert Davis. After the bus ride from the airport, they captured the moment with a group photo. Then it was time to see the nation’s tribute to them. This one-day experience is completely free of charge for these veterans -- paid for by private donations. Each honor trip costs in total about $60,000, but for these veterans to be there reliving their youth it's priceless. Still, the emotions for some were too much to handle. There were many thoughts about friends not here today. As the day wrapped up, the veterans took the time to remember the men and women who are still in harm's way and had this message for them.